With many years of industry experience, One World Speakers Bureau was founded to provide a forum to inspire world change. We have the faster growing speaker roster in the industry, from A-Z. Our consultants are experts and understand the markets they serve, and definitely create the right speakers with the right programs to ultimately create a truly unforgettable event. 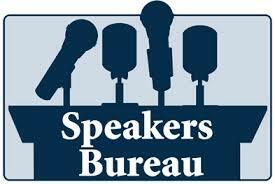 What are the benefits of working with the One World Speakers Bureau. Speaking Requests & Schedule Management: Making Your Life Easier! It is no doubt that you receive many requests for speaking engagements for a wide variety of event types. Sorting through these can be time consuming and frustrating. With our speakers bureau, you can place this task in our hands. We thoroughly explore each opportunity to find out which are legitimate and worth being brought to your attention. Our experience in working with so many different schools and organizations over the years has afforded us an insider’s perspective; if we aren’t familiar with a particular group, we research their mission, cause, event purpose, and audience type. Additionally, there is also no need for you to worry about double booking or other scheduling conflicts if is managing your speaking engagements. Our speaker management system includes a detailed, up-to-date copy of your calendar that alerts us of any dates or times that disagree with each other. Whether you have another professional or personal commitment, we will only bring potential offers to your attention – unless otherwise instructed – that realistically fit within your schedule. All that will be left for you to do is decide if you are interested in a particular speaking engagement. If so, APB will continue to orchestrate all correspondence, travel, event logistics, and payment from that point on.